The Bryant Hornets just need to play. With very few players returning with any varsity high school experience, that’s the formula for new head coach Travis Queck, who takes over for National Coach of the Year Kirk Bock, after serving as his top assistant in recent years. 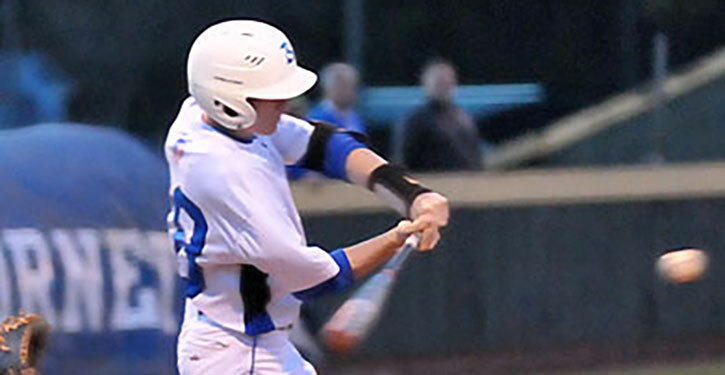 Bryant gets started with that on Thursday at 5 p.m., with a pre-season benefit game against the Lake Hamilton Wolves at Bryant High School Field. The Hornets are coming off a tremendous 2016 season in which they finished 31-2 and captured the program’s fourth Class 7A State championship in the last seven years. Phenomenally, it’s been every other year for the Hornets, 2010, 2012, 2014, 2016. Some might say this this is an off year but these Hornets would like nothing better than to break that cycle and repeat this season. The key to make a bid to do that will be the rapid maturation of a young team, hit by graduations, transfers, disciplinary rulings and such stuff. The returning players are infielder Seth Tucker, who’ll be a primary pitcher as well this season, and Beaux Bonvillain, a lefty hurler who’ll get some time in the field too. They are two of just five seniors on the team along with outfielder Cameron Coleman, pitcher Boston Heil and utility man Diego Vargas. Heil and Vargas will become available around mid-season. Juniors include Myers Buck, Konnor Clontz, Grayson Prince, Scott Schmidt, Matthew Sandidge and Brandon Hoover. Sophomores are Sawyer Holt, Logan Catton, Logan Chambers, Coby Greiner, Clift Chaffin, Jake Wright, Logan Grant, Ryan Lessenberry and Will McEntire. Freshmen Gage Stark, Christian Motes, Zion Collins and Brayden Lester have joined the team. “Practices are going smoothly,” Queck reported. “We’ve got a lot of new faces everywhere. They’re still trying to figure out where they fit in and what they can and can’t do. It’s frustrating at times because it’s not what we’ve had in the past as far as the numbers. “But, you know what?” he added. “The guys are doing a good job. They’re working hard. They work hard together. It’s going to be a fun one this year. Asked about changes he and pitching coach Stephen Tharp and new assistant Guy Brown and volunteer coach Jacob Roper might make, Queck said, “We’re going to do what we’ve been doing for the last few years. Nothing’s been changed so these guys feel pretty comfortable. “It’s a bunch of guys that can do some things but haven’t been able to crack the lineup because of guys in the past,” he added. Bonvillain, a pre-season second team all-America pick who has signed to play in college at the University of Central Arkansas in Conway, went 4-0 with an earned run average of 0.93 last season. He fanned 26, gave up 23 hits and walked just seven in 30 innings as a junior. “He’s going to be our workhorse this year along with Seth,” Queck said. “Seth will be our two. Queck also mentioned Greiner and McEntire as well. “Two young arms that will compete,” he said. “Along with Beaux, the other guys are competitive. They’re going to go to the mound and give it what they’ve got. They’re not going to blow any radar guns up but it’s going to play to our defensive philosophy. “We’ve also got Myers Buck and Grayson Prince and some guys that, along with Boston Heil, that we see throwing in some quality innings at some point in the season,” the coach added. Tucker is a side-winder from the right side who threw a couple of varsity innings last spring. Tucker will be at shortstop when he’s not pitching. He gives the team an element of speed too as he stole 11 bases last season. When he’s on the mound, Queck said, “It’ll probably be between Coby Greiner and Konnor Clontz and Myers Buck (at short). Chambers slots in at first base. “He’s a guy that can supply something at the plate as well as a young leader on the field,” the coach related. At third, Catton and Clontz are seeing time. “Logan is a hard-nosed ballplayer,” Queck said. “Konnor can do some things defensively. We’ve just got to find a way to put him in a lineup the best way that suits him and us. The coach said there are a slew of outfielders that are vying for playing time. “When Logan Grant is healthy enough to play defensively, to throw, we may see him out there and maybe DH’ing for him to keep him from re-injuring that nerve, that tendon,” Queck said. Sandidge will patrol centerfield with Coleman in left along with DH. Prince, Greiner and Bonvillain will play some outfield as well. “We feel very confident with Sandidge in center,” Queck said. “We felt confident with him last year. He just couldn’t find his way in. Wright, who is fairly new to the position, will start at catcher with back-up from Lessenberry. In Thursday’s game, Queck said, “We’re going to use five or six arms. We’re going to play it like a live game. I don’t know that we can play these guys enough right now. We are going to get these young guys playing experience. The Hornets officially open the season at home against Arkadelphia on Monday, Feb. 27.